(Eagle News) – The prosecutor of the International Criminal Court, Fatou Bensourda, said that her office will continue to conduct its examination of the situation in the Philippines, even if the country had already initiated action to withdraw from the Rome Statute. In her annual report on preliminary examination activities for year 2018, the Philippines was listed as among the countries in which the ICC had opened preliminary examinations. The report covers the period of December 1, 2017 until November 30, 2018. 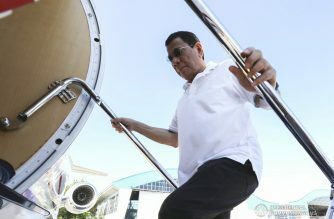 “During the reporting period, the Office of the Prosecutor (“OTP” or “Office”) opened three new preliminary examinations relating to, respectively, the situation in the Philippines, the situation in Venezuela, and the alleged deportation of the Rohingya people from Myanmar to Bangladesh, a State Party to the Rome Statute. Two situations already subject to preliminary examination by the Office were referred to the Prosecutor. These are the situation in Palestine (by the State of Palestine, on 22 May 2018) and the situation in Venezuela (by a group of State Parties, on 27 September 2018),” the ICC said. Bensouda said that although the Philippines had already submitted its notice to withdraw from the ICC last March, the Court still had jurisdiction over the Philippines which is being investigated for alleged extrajudicial killings in the Philippine government’s drug war. “On 17 March 2018, the Government of the Philippines deposited a written notification of withdrawal from the Statute with the UN Secretary-General. In accordance with article 127, the Philippines’ withdrawal will become effective one year after this date,” Bensouda said in her report. “The Court retains jurisdiction with respect to alleged crimes that have occurred on the territory of the Philippines during the period when it was a State Party to the Statute,” she said. 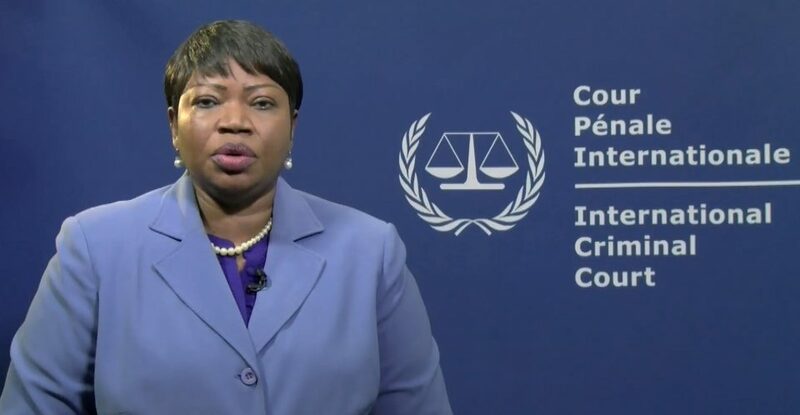 “The ICC therefore has jurisdiction over Rome Statute crimes committed on the territory of the Philippines or by its nationals since 1 November 2011,” Bensouda said. The ICC prosecutor already issued “a statement on the situation in the Philippines, expressing concern about the reports of alleged extrajudicial killings of purported drug dealers and users in the Philippines” as early as October 2016. This was before the complaint was even filed against Philippine president Rodrigo Duterte and at least 11 of his senior officials by a lawyer for a self-confessed hitman, Edgar Matobato, in April 2017. 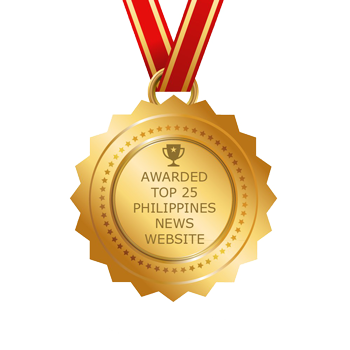 “In this regard, the Office has continued to gather, receive and review information available from a wide range of sources on the crimes allegedly committed in the context of the ‘war on drugs’ in the Philippines. This includes publicly available information and information from individuals or groups, non-governmental or intergovernmental organizations,” she explained. 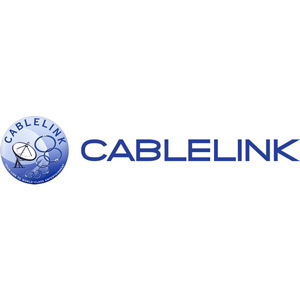 The prosecutor said that her office had subjected all information it had received “to rigorous source evaluation, including assessment of reliability of sources and credibility of information received” consistent with standard practice. “In order to conduct its legal and factual analysis, the Office has focused on recording, on an ongoing basis, relevant alleged incidents and examining the circumstances in which such incidents reportedly occurred and particular key features, such as in relation to the profile of alleged victims, the identity of the perpetrators and modus operandi employed,” Bensouda explained. “The Office has also collected and analysed information relevant to the overall context in which the alleged acts occurred. The Office has also engaged and consulted with relevant stakeholders, including by holding meetings at the seat of the Court,” she said. “Any alleged crimes occurring in the future in the context of the same situation could also be included in the Office’s analysis. 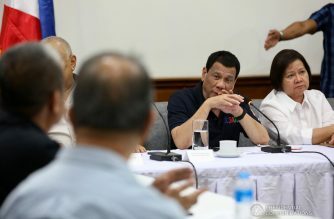 Accordingly, the Office will also continue to record allegations of crimes committed in the Philippines to the extent that they may fall within the jurisdiction of the Court,” she said. 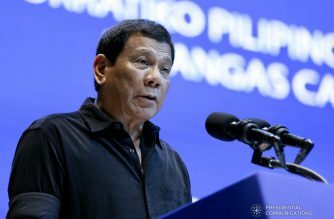 The ICC preliminary examination focused on crimes allegedly committed in the Philippines from July 1, 2016, at the start of the Duterte administration, in the context of the so-called “war on drugs” campaign. The ICC said that since July 2016, more than 12,000 persons have been killed for reasons related to their alleged involvement in drug use or drug dealing operations. These included the 4,800 killings committed in acknowledged anti-drug police operations, and thousands more killed by still unknown assailants. 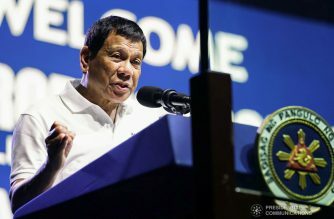 President Duterte had repeatedly lashed at the ICC, claiming that it had no jurisdiction over him and his officials since the ICC’s Rome Statute had never been published in the Philippine government’s Official Gazette for it to effective in the Philippines.